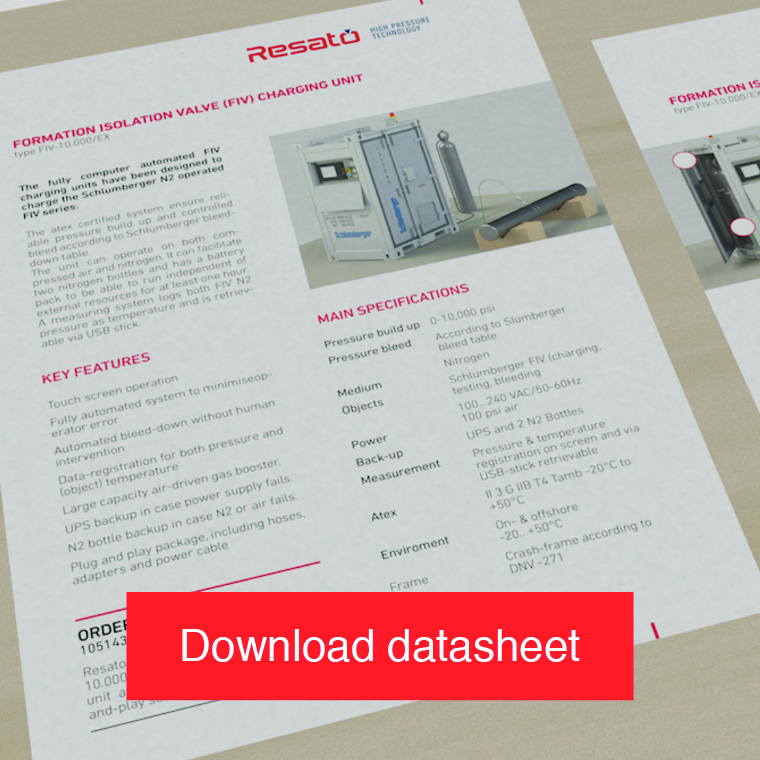 For pressurizing objects with gas pressure Resato has developed the HBU system. The HBU is similar to the HPU. Only instead of pressurizing with hydraulic pressure, the HBU pressurizes objects with gas pressure. Like the HPU, the HBU has a solid workshop design that can be integrated in your production process. As a result, the HBU is benefitting the cycle times of your operation process. For even more efficiency the system can be equipped with an automatic operation system alternatively to manually operating the HBU. For an automated pressure cycle perfomance, one can install an optional process controller with touch panel. Besides efficiency benefits, the HBU contributes to a responsible working environment through its ergonomic operating panel with panel mounted features (e.g. a control bleed and gauges), and optionally with engraved and colored flow chart and operating instructions. In combination with its modular design that is adaptable to your specific requirements, the HBU is a versatile system for pressurizing objects. You can for instance include a combined system of air driven pumps and gas boosters, or if you prefer quick pressurization you can choose one of our double-acting, dual or triple stage gas booster systems.